While some telemarketing companies’ take an approach to reaching customers may just include making cold calls to any potential customer, there is another, and often more effective approach that one can take to telemarketing. This includes utilizing marketing databases and other previous customer information in order to target specific demographics and types of customers. By targeting specific customers in a cold calling campaign, you can target the most attractive customers resulting in an effective and efficient campaign. Telemarketing campaigns can also be developed in order to achieve specific goals such as restarting recent stops or improving retention of current customers through EZ Pay conversions. As a leading telemarketing company for newspaper subscription sales and services, The Pisa Group can design and implement a variety of types of outbound telemarketing campaigns including custom telemarketing and cold call programs. We can utilize a number of types of incentive programs including sequential dialing cold calls, conversion programs, reselling of stops, and other telemarketing services. To learn more about any of our cold calling or telemarketing services, please feel free to contact us. At The Pisa Group, when we perform cold calls, we do not just haphazardly call numbers from a list. Our preparation and planning work may include first analyzing your target consumer and identify characteristics that make certain prospects more attractive than others. By targeting prospects who are more likely to subscribe, we can reduce the costs per sale. Another important part of preparation that we may perform prior to making cold calls is to create a sales presentation that is uniquely developed for your target market. When working with you to develop an ideal target market, we may first develop a special marketing database that contains information about your prior and existing customers. Based on this information, we can create a profile for your potential customers who are most likely to buy. By considering only those whose demographics or other characteristics put them in this more attractive category, your cost per transaction can be greatly reduced and the efficiency of a cold call and telemarketing campaign greatly improved. Another important aspect in addition to determining who will be targeted in a campaign that uses telemarketing or cold calls to reach new business is the actual sales presentation that will be used. At The Pisa Group, we believe that a sales presentation should emphasis order retention in order to prevent subscription cancellations. It should also be targeted specifically to your ideal market demographics. 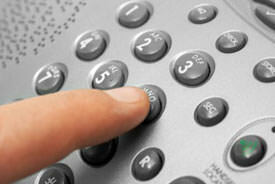 We offer a variety of telemarketing and cold call services for newspapers. These services aim to help newspapers achieve their marketing and retention goals. We can utilize cold calls and telemarketing to develop a number of different campaigns, each unique to your market and your goals. To learn more about our outbound telemarketing services for customer retention and new subscription acquisition campaigns, please contact us. To learn more about our outbound telemarketing services and cold call campaigns, please feel free to contact our call service center and telemarketing company. You can also learn more about the advantages of outsourcing your telemarketing services here on our website.